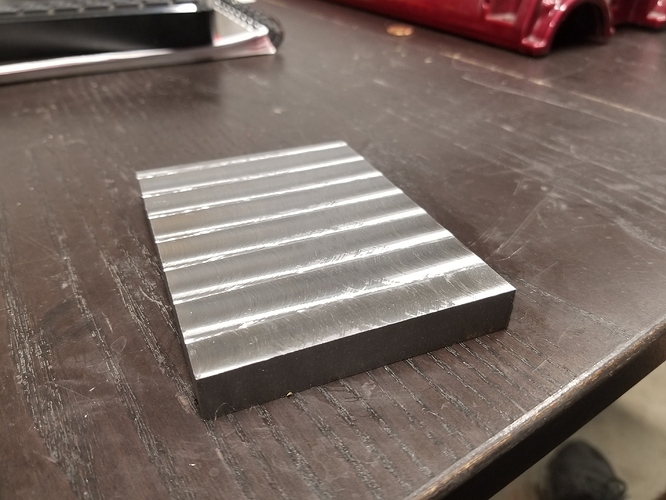 0.500 1018 cold rolled plates VS stubborn dude with too much time on his hands. 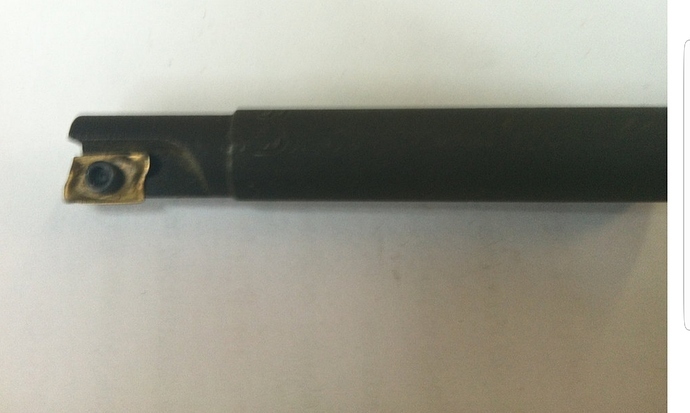 First I designed them in carbide quickly, tested, then designed in Fusion. 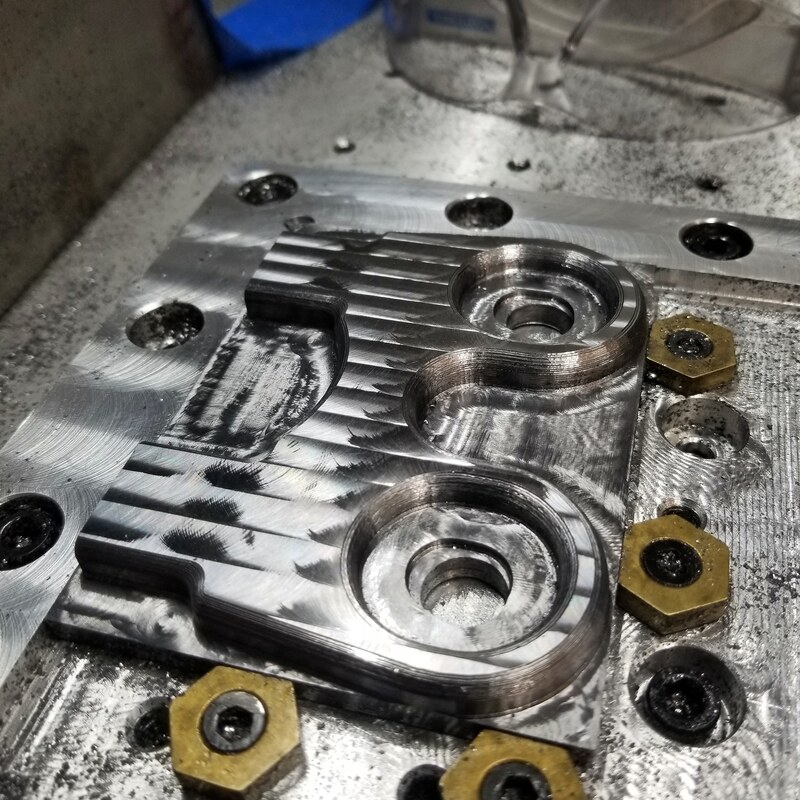 Cut from aluminum to fit chromoly tubes and help envision workholding plus figure out CAM. 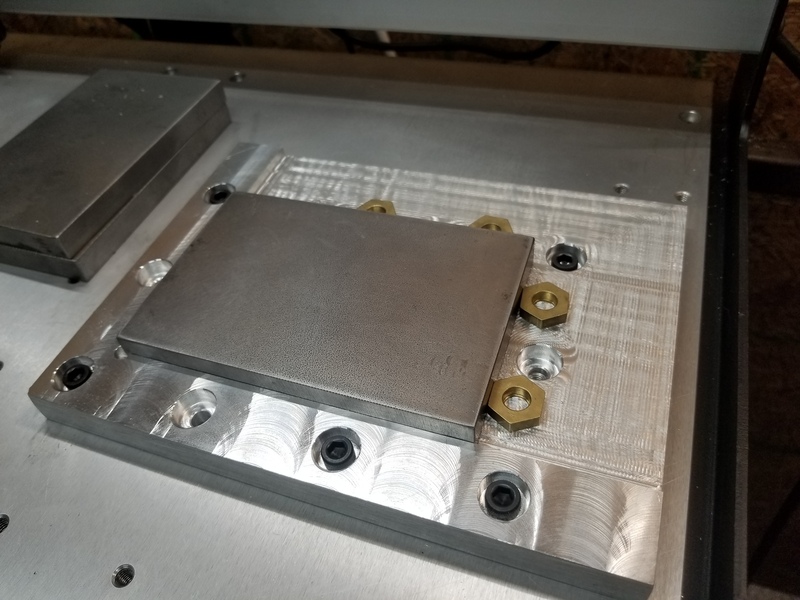 Now I’ve cut a low profile vise to hold the steel for the first op and am designing a threaded 3d contoured plate to bolt the parts down for second op. 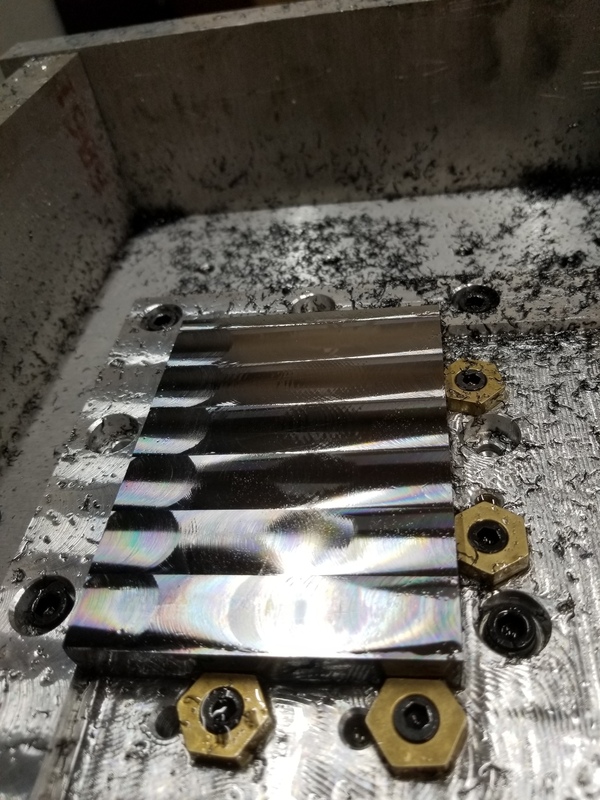 Decided to do a bolt down fixture plate setup because honestly I didn’t want to slot a 2d contour pass with tabs due to the plunging. Also practice with odd setups is helpful for learning. We already have pre orders for four of these completed crossmembers with the first customer paying for material and consumables (endmills, metal). I bought two 1/4 Fireplugs and a 4 flute steel ball endmill from Lakeshore Carbide. The fireplugs have awesome reviews and I want to be very nice to them, predrill holes. 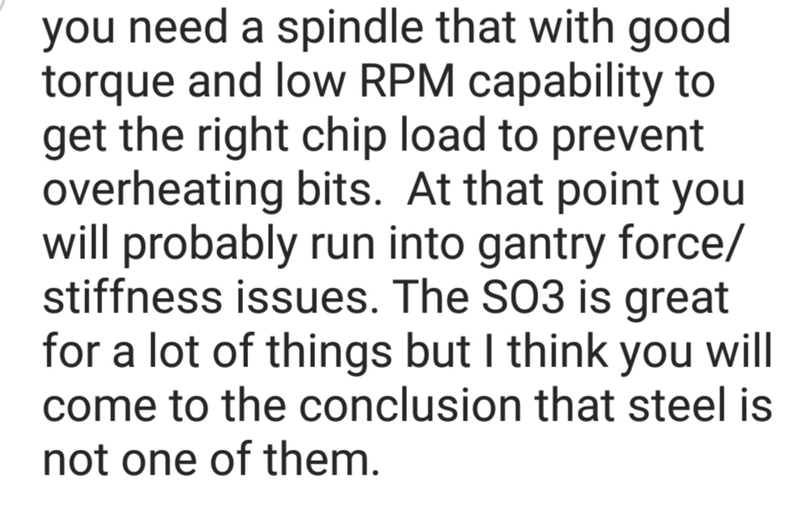 So…good motivation to get this S3 to cut steel. Setting up cam in Fusion right now and 0.001 tho per tooth is 15000rpm @ 60ipm. I think I’ll set up the adaptive around 0.010 opt load and 0.020 doc to start. Going to try a few different types of coolant to see what works. 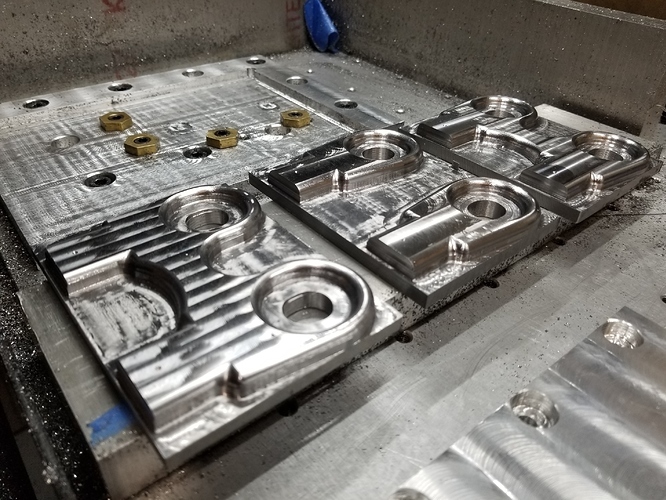 All milling will be done with the HDZ so I’ll get to see how ridgid it really is. 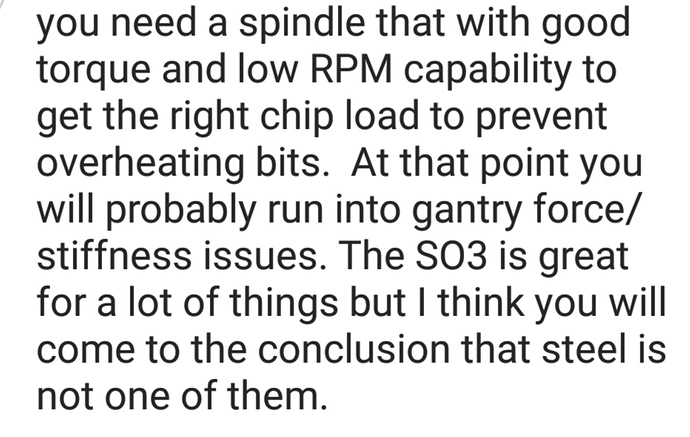 18000rpm, 39ipm, 0.005doc. 10 thou cut on each one. Im half excited… half thinking what did u get myself into. Gotta get a good handle on speeds and feeds before using the fireplugs. Next step is to engrave hole predrill spots with a V bit, drill manually and then its 3d adaptive time! This is very encouraging and good data for everyone, thanks for sharing! As far as data goes… I’ll tell you guys what works and what doesn’t lol. For instance, running 3300 sfm is not recommended…but its possible. Its like 4th of July without all the explosions. That was the 0.750 @ 17krpm and even dialing it down to 10k would still be 1900sfm. 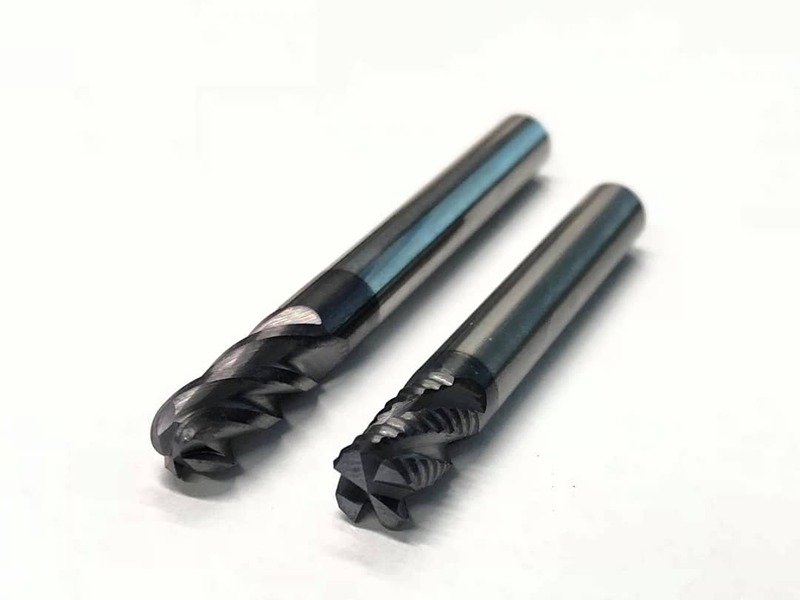 Im working on getting some 0.500 single flute indexable endmills and they would be right around 1300sfm @10k, little past the upper limit for coated carbides but probably workable. 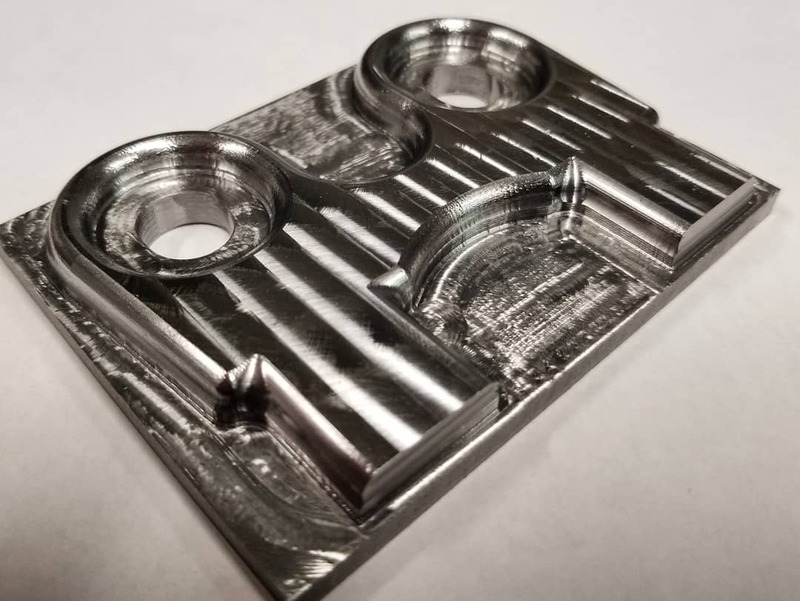 For aluminum they would RIP! The Fireplugs are 0.250 and much better suited for the Makita rpm range. Fusion easily lets me know that 14krpm will be right at 900sfm and a 60ipm cutting feed will put me right at a 1 thou chipload. 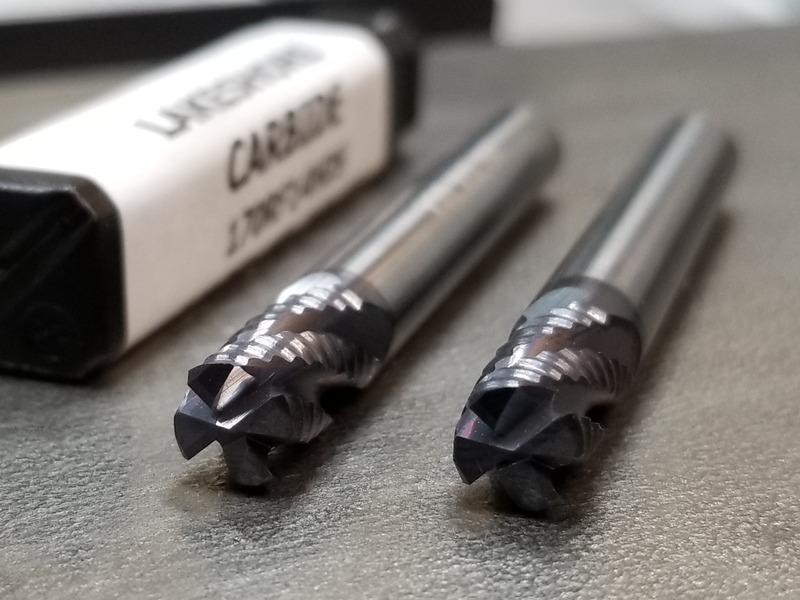 So funny thing, its possible to get carbide inserts to live…ish @1900sfm. Once I chased down 3 or so things it all started to click. However I know I’m about 1.5 thou off but the surface finish is really coming out and I need to purchase a few shims from McMaster. Fingernail doesn’t catch any ridges but I know we can do better. I also tried a preload but turns out it wants to be completely true. Good to know. Omg… the sound, when it was cutting like butter it was just low humming at 10k rpm. Ok… maaaaybe a hint of chaos, but it was beautiful, no sparks. 10krpm, Makita like a champ! Cutting, tramming, cutting, tramming, it was evident how much a well squared cutter performed. Chips looked pretty good and inserts showed no real wear. Also included someone’s opinion. While the S3 might not be the best platform for steel work. I hope to prove, just like others have, that with a little effort and time, anything is possible. Surface speed is less than 800 and no sign of excessive heat, chips are silver. Air last spray with coolant. 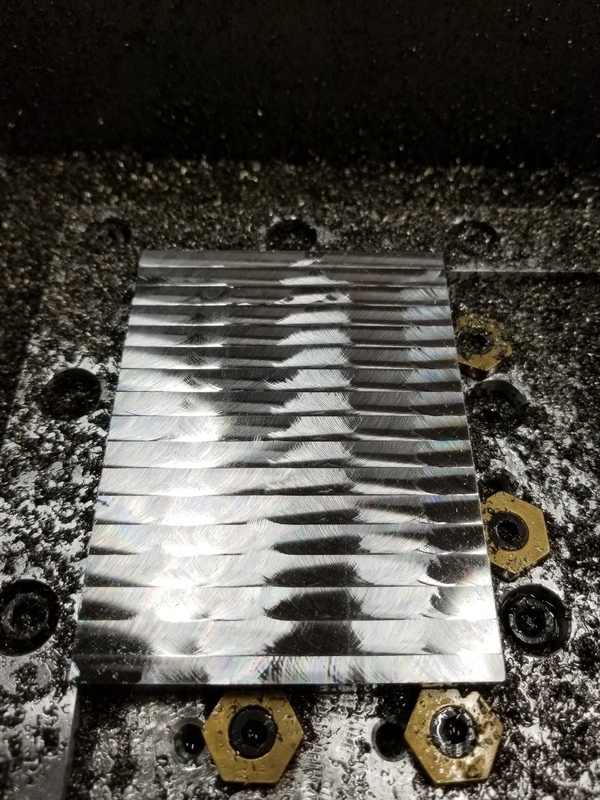 Its actually much quieter than cutting aluminum for me. That looks amazing, the compressed air + coolant must be really doing the trick. 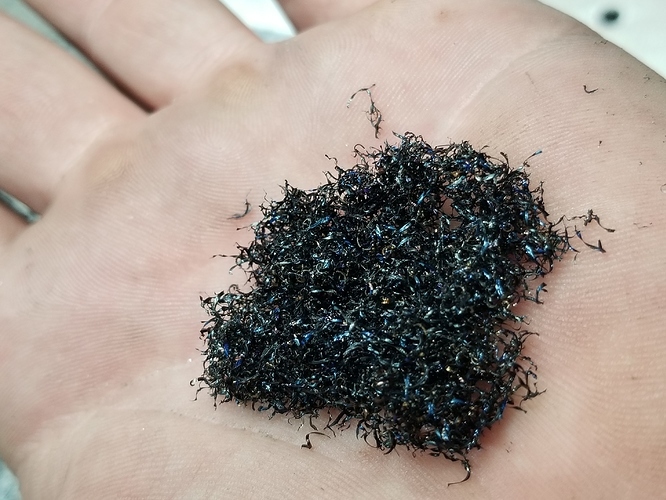 For cutting ferrous metals — has anyone ever worked up a track system which uses magnets to pickup the chips and then deposit them elsewhere? That would be a sight to see! 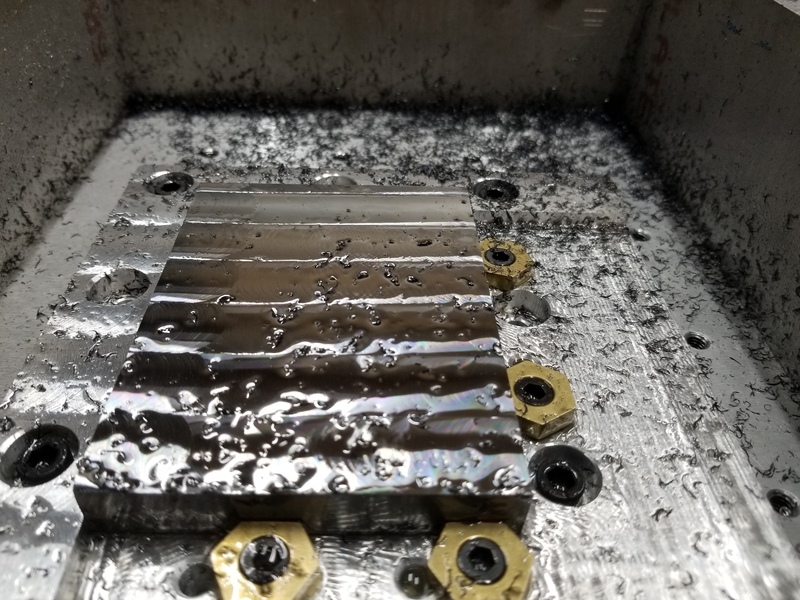 If anything the aluminum cutting needs it more, next parts have 90% metal removal at 14lbs. With my brush guard chips just get swept to the side without issues. Where do you source the mitee bite gizmos from? I’m putting together an aluminum “spoil” board, they look handy. @Griff Amazon sir, best price I could find. They have all kinds depending on bolt. Amazon. Haha, that’s too funny. I looked at their website, very industrial/engineering oriented, saw that the did not sell direct but, rather, through reps. So I ASSumed I’d have to find an industrial supplier. Admire your work BTW. Nothing like what you’re doing but I wrenched on a few cars. Committed sacrilege when I pulled the small block out of my 56 Chevy and dropped in a hemi. They are, but they’re also frightfully expensive for what they are. 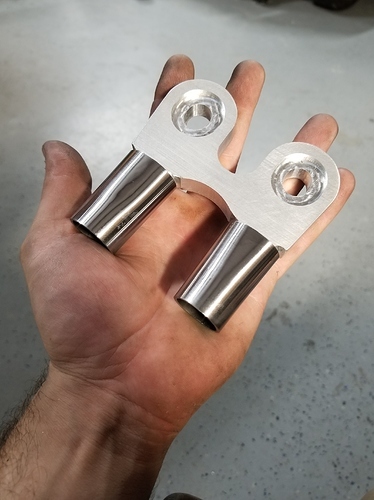 They are expensive and if you have the time on your hands they have all the cad drawings available and you can make your own. My customer partially paid for these in a consumable fee. We just billed out $3k on his car and each piece uses the mitee bites for fixturing. @Griff Hey blue tape and superglue is how I setup lots of stuff! Wrenching is fun and really makes for a good creative outlet! Speaking of engine swaps we’ll probably be doing billet 2jz mounts for a Honda S2000 on the s3 soon. HTS uses a round puck with an offset ground screw head for the same sort of cam action, they look easy to make (I have some for my nomad) but they were cheap enough not to be worth the effort to do myself. 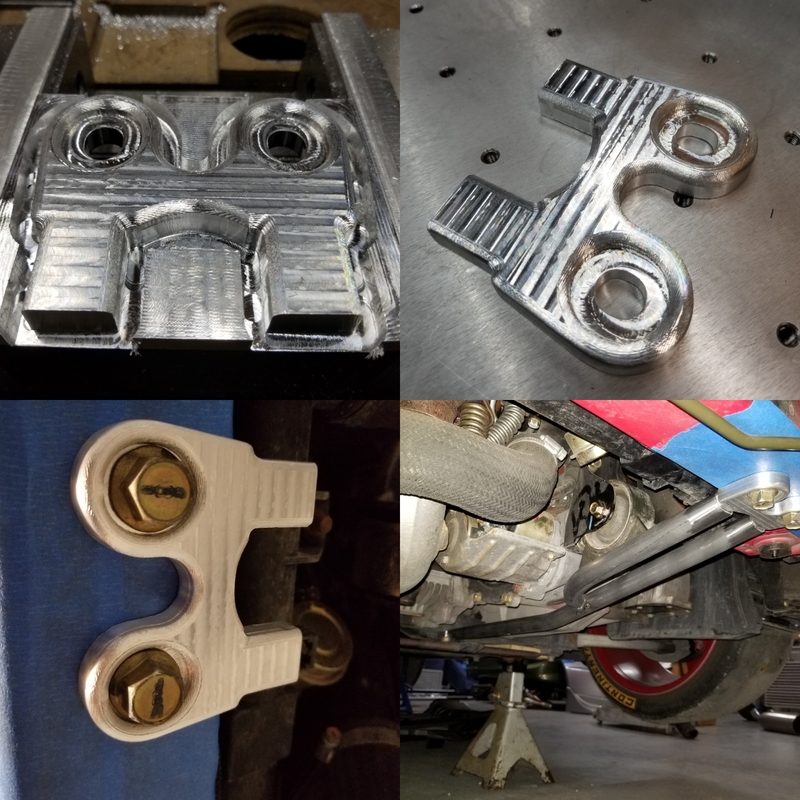 The cam clamps run about $2 each from them. They’re aluminum, they’re not fancy, but they work well.